Inspiring stories of weight loss can teach us how to get healthier. Here on Snack Girl, I usually interview a Snack Girl reader about how they achieved success. Fortunately, we can glean a lot of information from Wolf's interview about how Bill Clinton lost 24 pounds and (get this) reversed the damage to his arteries. Does anyone else remember this President going on a jog and stopping at McDonald's? He admitted to having some pretty bad eating habits when he was in the White House. It turns out that the body has the capacity to heal itself. Bill Clinton states: "82% of the people (in a research study since 1986) that have changed to a plant based diet have been able to heal their arterial blockages". What? No meds? Yes, if you eat beans, vegetables, and fruit you will lose weight and heal your body of heart disease. But, what does this mean to the Snack Girl reader? You guys don't have heart disease, right? And you certainly aren't going to give up cheeseburgers! My suggestion is to take a good close look at your diet and make MODERATE changes (just like what Dean Ornish says in the interview). Monday becomes "meatless Monday", Tuesday becomes "almond milk Tuesday", Wednesday - "skip the donut Wednesday".....etc. This site is designed to support people in making small changes. Those small changes will add up and you WILL lose weight, eat healthier, have more energy, and enjoy life more. In Bill Clinton's case, it took scary heart disease to wake him up. Whatever your politics, I hope his story will inspire others to evaluate their diets. Finally, another person who I admire a lot, Mark Bittman (cookbook author and New York Times' restaurant reviewer), wrote a book where he advocates going vegan until 6 PM. His problem was diabetes and he stopped its progression by changing his diet. You can find his book, "Food Matters", in the library or on Amazon.com (below). What do YOU think of Bill Clinton's weight loss story? Thanks for showcasing President Clinton's success but giving practical ways to take baby steps. Getting healthy doesn't have to be extreme...it's one step at a time...and we all need to be reminded of that. When I learned that the American food system is toxic, I did a tremendous amount of research. While I have no heart disease, I read books about extreme cases. One book was Dr. Caldwell Esselstyn's (he's in the video)- Prevent and Reverse Heart Disease (http://www.heartattackproof.com). for me, i guess I lucked out? because dad got the cholesterol and mom got the high blood pressure, from super young i've been trained to "not eat this" or "don't eat that," though maybe not in so many words. after a while I get used to the idea of "don't eat so much fried or fat foods, not only do you get fat, you're gonna get high cholesterol like dad". Granted salt is still my big ol' vice, but hey, at least i try my best with cooking light! I agree, baby steps and small, gradual changes are the key. And YES ... Mark Bittman has taught me so much about cooking, in general, and Food Matters is one of my favs! The road to success is indeed baby steps. And also a change of mindset. As long as you think of it as a "diet" you are less likely to succeed. But making a "lifestyle change" in your head works wonders. I've lost 92 pounds so far and feel better than I ever have. But it took a serious illness to make me finally buck up and make the change. I started by adding more and more raw foods to my diet with great results.Then I cut out diary and regular bread with more great results. (I do ocasionally indulge in sprouted bread. )Cuttting out diary and bread got rid of that round belly I had developed.There are great and easy raw receipes that are very tasty. I seldom eat meat anymore. A nice miranated portebella mushroom suits me fine. I was up to a size 12 and now I am in a size 4.Believe me it feels great to be slim again.And you would be shocked at how much you can eat and stay slim.I eat often with delicious foods and am never hungry.Nor do I miss all the junk I used to eat. Hello, Iam Kat. Iam a 16 year old girl and i think i need to loose some weight. My height is 5'1 and my weight is about 20 pounds over the exspected amout of weight for my height. 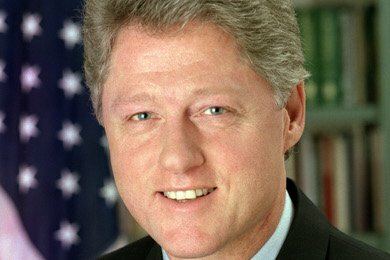 When i saw that Bill Clinton had lost all that weight i wanted to know how so i could loose this 20 pounds or so. The thing is that iam a vegetarian (no, i dont eat fish) and i dont know how to find cheap meals, I also tend to stay away from dairy, and i dont like sweets. Why cant i loose weight?! I want to loose a good amount of weight before halloween so i can wear a cute costume. If there is anyone out there that can help me please contact me at Thekatketchup@live.com. Be careful of trying to loose too much weight in a short amount of time. Sounds like you eat well, make sure you exercise daily, and remember that you are beautiful! Great to see this. Dr. Esselstyn will be my guest at a small event in Ohio in November. Though it doesn't get a ton of publicity...until now, his work could save a lot of lives! I look forward to your site, it looks great.